NDuR Wind & Waterproof Survival Matches | BUDK.com - Knives & Swords At The Lowest Prices! These survival matches will burn in the strongest winds and rain for approximately 12 seconds. 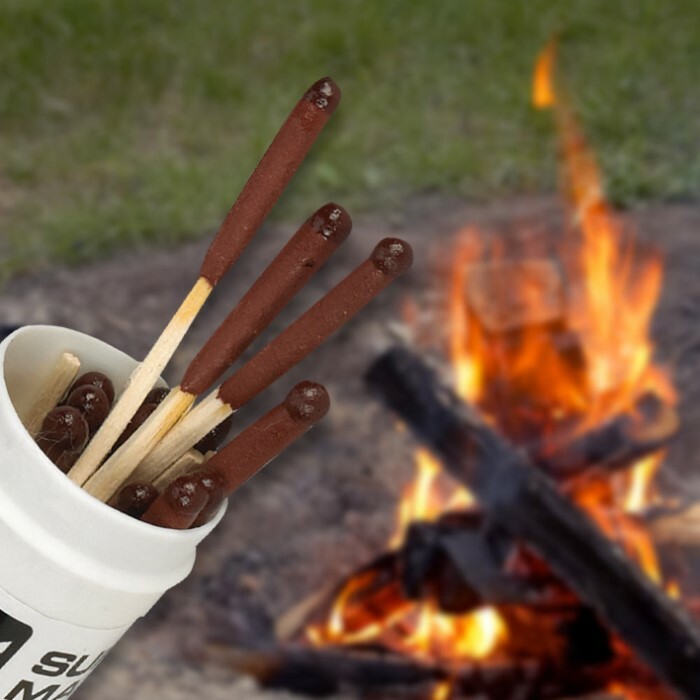 Comes packaged in 2 sealed plastic tubes, each with 25 matches. NATO approved. always keep1 of these in bug out kit. take up very little space & work better than most fire starters. keep in vehicle safety kit, LBE, boat, etc. buy them, stash & 4get till U need. Smart purchase. These matches are a bit pricy but perform flawlessly when needed most. I like being prepared for emergencies, up here, the weather would do you in quickly cuz of the extremes. I like these matches, carry them in the car with a candle lamp. I have a good ventilation system, so the oxygen burn wont put me to sleep permanently. Nice products. these are great. light after being underwater and in strong wind. perfect for any survival bag. 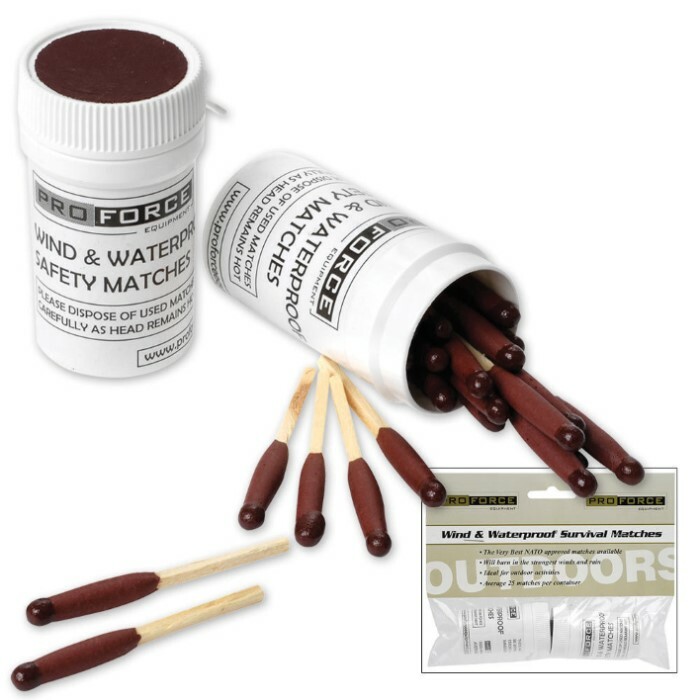 I tested these matches as soon as I got them, which was fast, and it does as claimed! I placed the match in water for about 5 to 10 seconds, then I lit it, and it was if it wasn't even wet. Very nice product, and recommended for anybody who goes camping, or survival training in the wild.